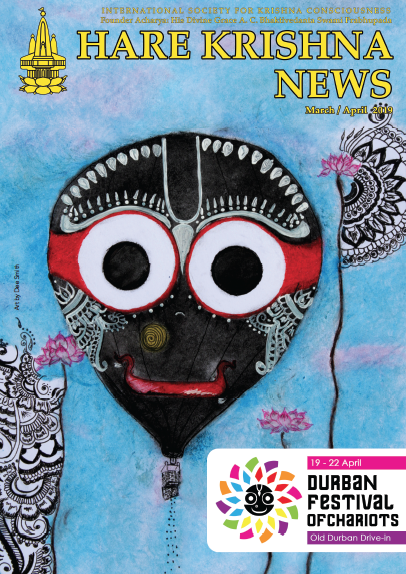 The Durban Festival of Chariots is just two weeks away. 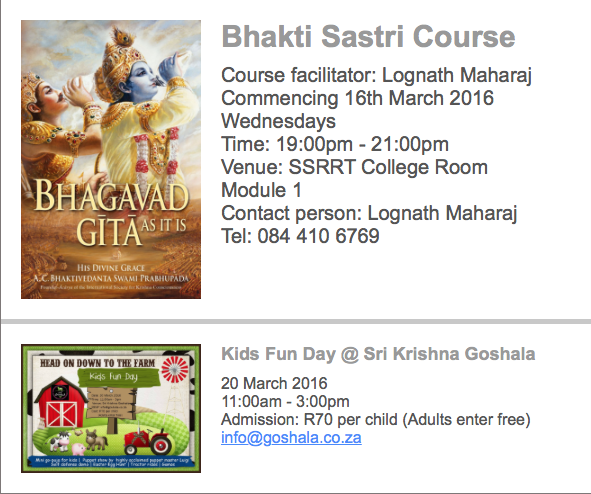 We trust you are enthusiastic to render some service at our largest ISKCON festival in South Africa. 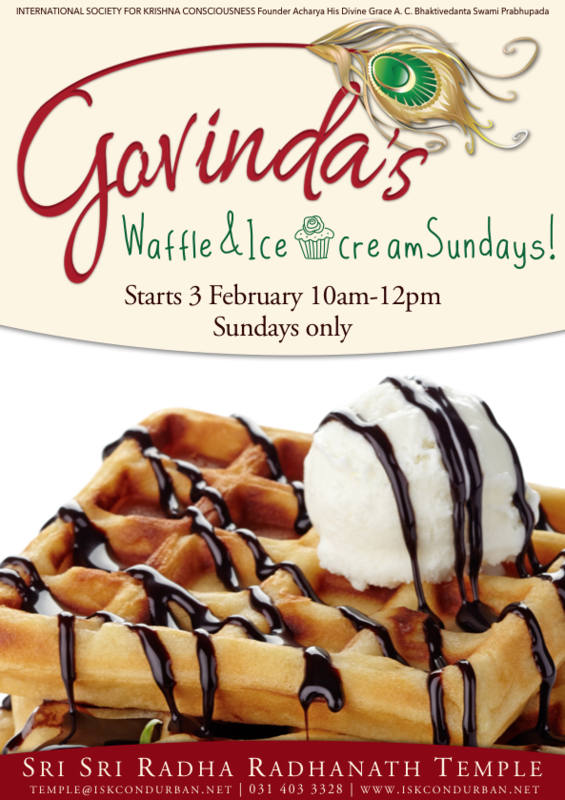 If you do not have any service as yet, please contact Balaram (082 881 4521) or Upendra (082 899 2923). 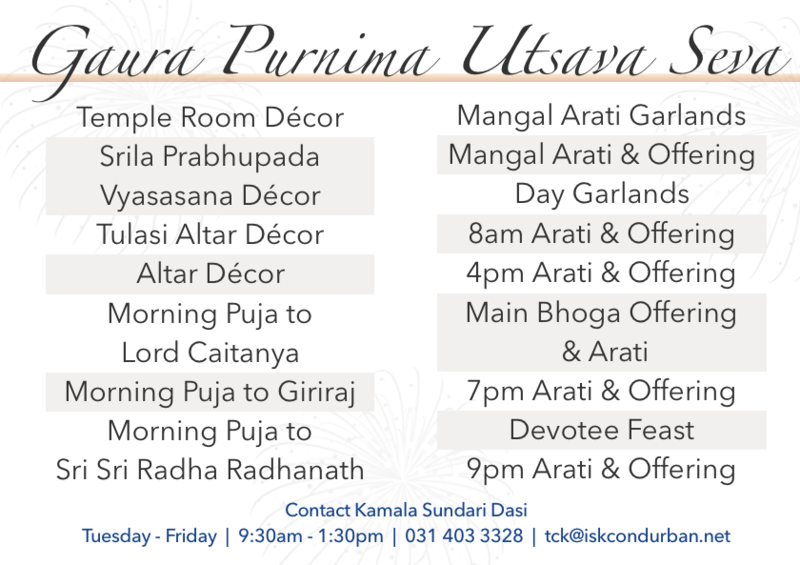 On Wednesday, 23 March, we celebrate the Gaudiya Vaishnavas’ most important festival – Sri Gaura Purnima. 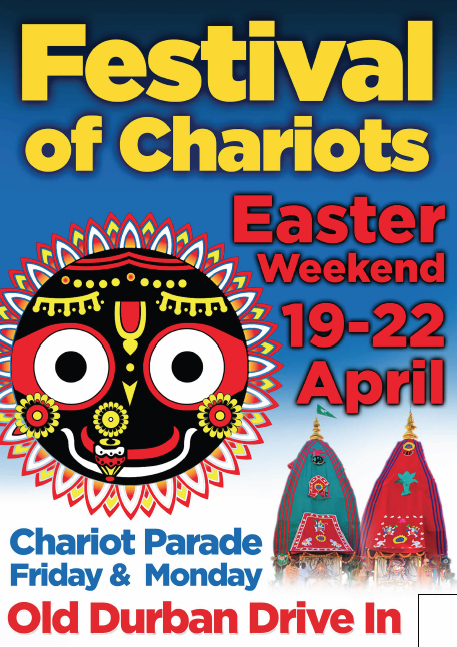 Sri Caitanya Mahaprabhu broke open the store house of love of Godhead and flooded the world. 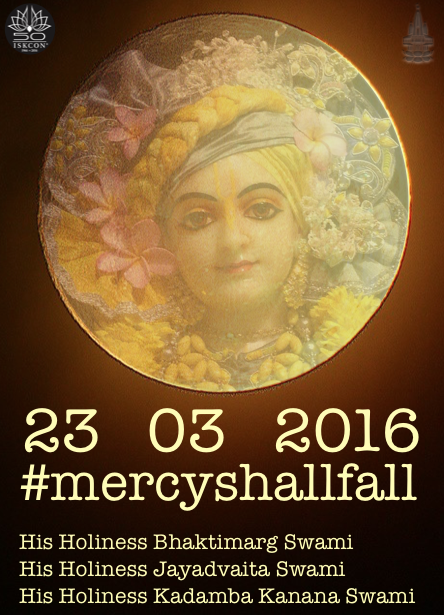 Therefore #mercyshallfall. Love Feast with His Holiness Kadamba Kanana Swami. 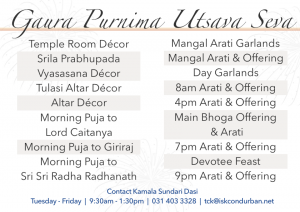 Devotees are encouraged to please bring your own plates and cups.